I often have people asking if I can make a hat similar to one that they found online. I am usually quick to say yes without even looking to see if a pattern exists because I have a hard time saying no and because I love a challenge. In my early days of crocheting I often relied heavily on using a pattern, but over the years I have learned 2 important things that once you know you can create your own crochet hat in any size, using any stitch with any yarn. To start you will need to know the head measurement for the person you are making the hat for. If you cannot measure their head then follow the guidelines based on age in the chart below. Head Measurement is the circumference around the head just above the ears. Next you will need to know the hat crown size. In this instance the crown of the head means the top of the head. If you think about where an actual crown (like a queen's crown) would sit on your head, this is the area that this specific measurement is referring to. 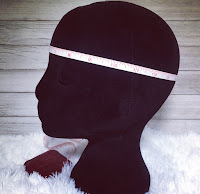 To achieve the crown measurement you want to increase your stitches, for each round until you have reached the crown size for the head measurement you are making. For more information on increasing stitches see The second thing you should know when crocheting a hat. In the picture below the crown size is 3.5 inches. If you look at the chart above and find 3.5 inches under the crown measurement column you will see that this measurement is for 0-3 months. The last thing to know about sizing is the height of the hat. 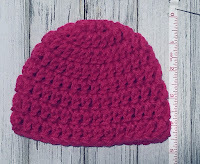 Once you have reached the desired crown measurement then you will need to continue crocheting in the round, keeping the stitch count the same until you have reached the hat height measurement. 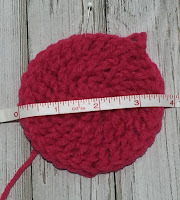 Therefore for 0-3 months I will continue to crochet in the round until my hat is 4.5 to 6 inches high. 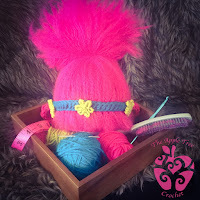 When you are crocheting a hat from the top down you will be working in rounds. To start you can either use a Magic Ring OR Chain 3 and slip to the first stitch to create a starting ring. Starting round of stitches in magic ring OR chain 3starting ring. For the example above I started with 10 double crochet in a magic ring. Second round you will increase by crocheting 2 stitches in each stitch. For the example above I crocheted 2 double crochet in each stitch around. Therefore, my stitch count was double my first round. (20 sts). You will continue to increase until you have reached the desired CROWN measurement, as shown above. 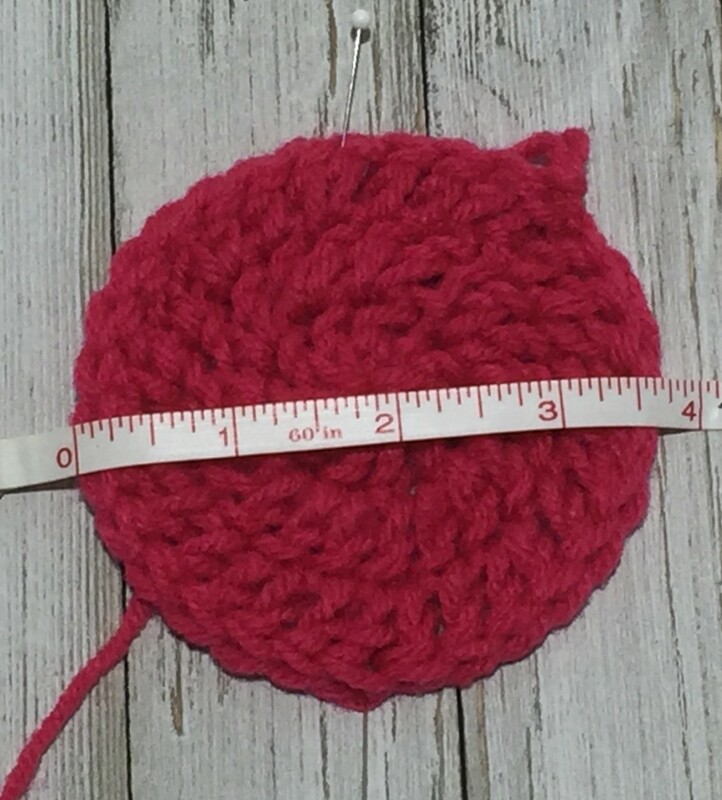 Once you have reached your crown measurement, then continue crocheting in the round maintaining the same stitch count for each round. For example in the above pictures I reached my desired crown measurement when my stitch count was 30 stitches. 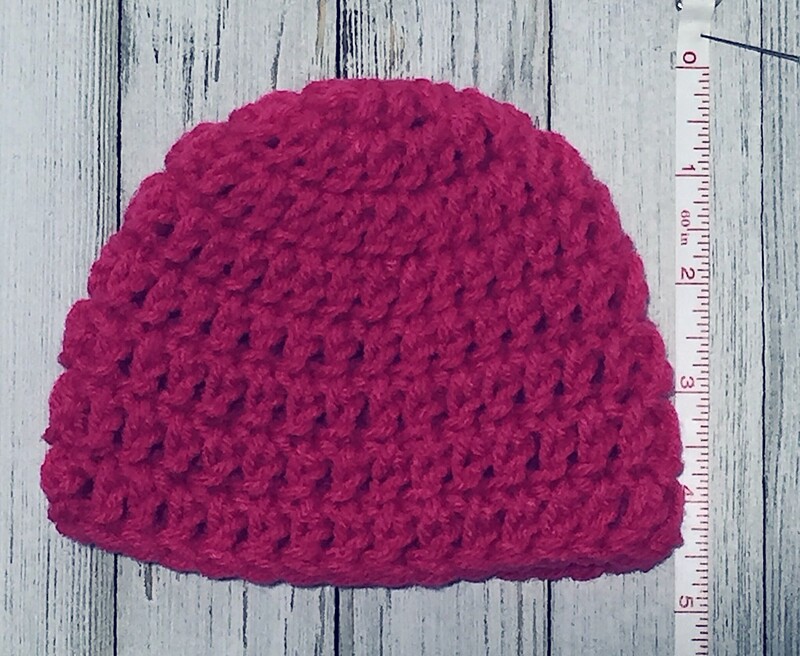 I continued to crochet in the round maintaining the 30 stitch count for each round until I reached the desired hat height. At the end of each round slip stitch to the beginning of the round and chain 1 or 2 depending on what stitch you are using. When I am using worsted weight "4" yarn I find it usually works out best to start with 10 stitches for my first round when using double crochet. If you are using a chunky yarn you may want to start with 11 or 12 for your first round. If you are using a single or half double crochet you may also want to start with 11 or 12 as your first round. You can play around with it to find what starting count will bring you to the closest crown measurement. If you change the first round stitch count, you will still want to stick with the increase pattern. So, for your second round you will crochet 2 stitches in each stitch around and so on. I would love to see your creations. Follow me on Instagram or Facebook and post your pictures. I would love to hear from you, by leaving your comments or questions below. Take care for now and Happy Crocheting Everyone.